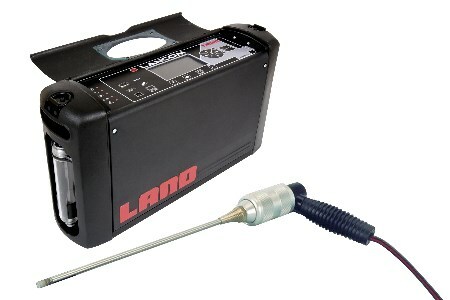 AMETEK Land has introduced its Lancom 4 portable gas analyser. The product is an affordable option that is versatile, accurate and portable. The versatility of the analyser has meant that it can be used across several industries, including gas plants, utilities, cement kilns, pipelines and refineries. Lancom 4 can be used by simply switching on the analyser, allowing it to complete an automatic zero calibration before it can be implemented. It can monitor up to nine different gases and a total of 17 measurement parameters using a single instrument. Moreover, the Lancom 4 analyser has the ability to data log up to 250 000 records. Lancom 4 offers built-in data capture and storage of measurement data, with a USB connection to download the data onto a laptop or a PC. In addition, the product has been updated with free insight data acquisition software, a powerful tool that allows users to interface their analyser with a PC for remote control and data logging. Associated hardware items, such as external printers or analogue output modules, can simply be plugged in, with no firmware configuration. This means that these items can be fitted in the field, which is extremely convenient. The product features a wake and sleep function, allowing measurements and data logs to be recorded over extended periods. “We are continually innovating within our ranges to ensure that we deliver the most advanced features and software to remain at the forefront of the market, whilst keeping prices competitive. Our aim is to provide even greater access to the most accurate information to make gas analysis as comprehensive as possible,” notes Derek Stuart, Global CE Product Manager for AMETEK Land.